Are you looking for a stunning collection of home decor in the Coachella Valley? You’ve come to the right place. 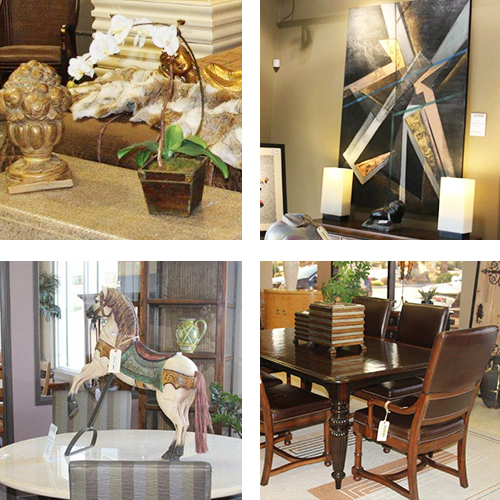 A sample of our vast collection of home decor can be viewed online at your own convenience. Because of the rapid turnover of our products, the items pictures online may not be available for purchase in store. To get a better view of our home decor, we invite you to visit our showroom. At Encore, we are prepared to assist you in the sale of your home decor. When you choose to consign with Encore, you can leverage our extensive marketing platform to ensure you find the best buyer for your items. Avoiding the risks and inconvenience of direct selling, you can feel rest assured that our team will assess your goods for marketability and agree on pricing. To learn more about our simple consignment process, please click on the button below. From the moment you step into our showroom in La Quinta, you’ll have a shopping experience unlike any other. Our showroom spans over 23,000 square feet filled with a wide range of products that encompass a wide range of style preferences and budgets. No matter if you know exactly what you’re looking for or have an idea, we have a team of design experts that can assist you in all of your needs. To start creating the home of your dreams, we invite and encourage you to visit us today.